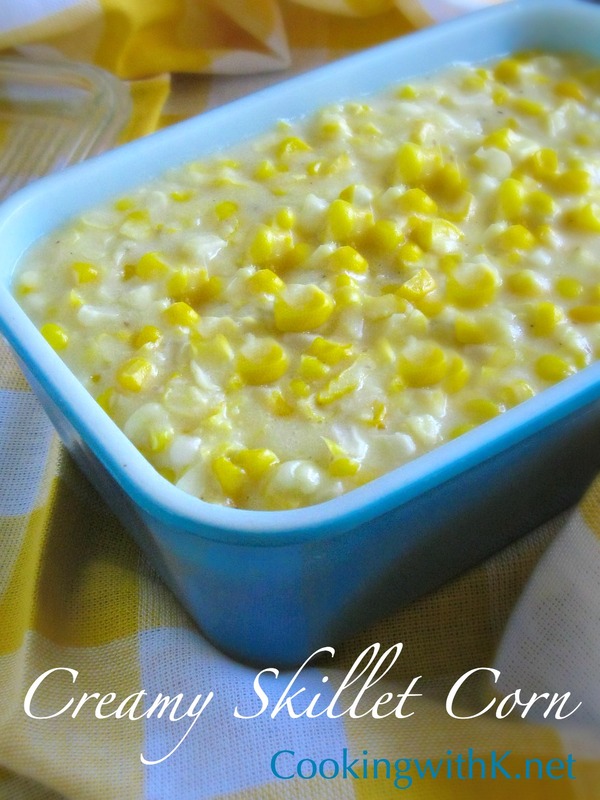 Creamy Skillet Corn, super simple to make with few ingredients and is a great side dish to take to any gathering using fresh corn cut off the cob that is creamy with a surprising crispiness. Look at these beautiful ears of corn I got at Walmart for 15 cents an ear. I am not surprised that they are running corn on special. Fresh corn is always ready around the first of July here in Texas. I have already made several trips to Walmart to take advantage of these savings. Around my house, we are split on boiling it on the cob, and slathering it with butter, to cutting it off the cob, and cooking it in an iron skillet with butter and cream which is my favorite. I use my Mother's recipe she used to make her Creamy Skillet Corn by, and oh how it brings back so many fond memories every time I make it. As a girl growing up, we would put up fresh corn in the freezer every summer. Mother would blanch some on the cob and freeze it whole in freezer bags, and cut the rest off the cob and freeze it in freezable containers. The winter was just a little sweeter with all that corn love in the freezer. In a large deep bowl, using a sharp knife cut the kernels off the cob; go back with a spoon, and scrape all that wonderful corn milk off the cob. In a large iron skillet or heavy bottom skillet, melt butter and then add the corn. 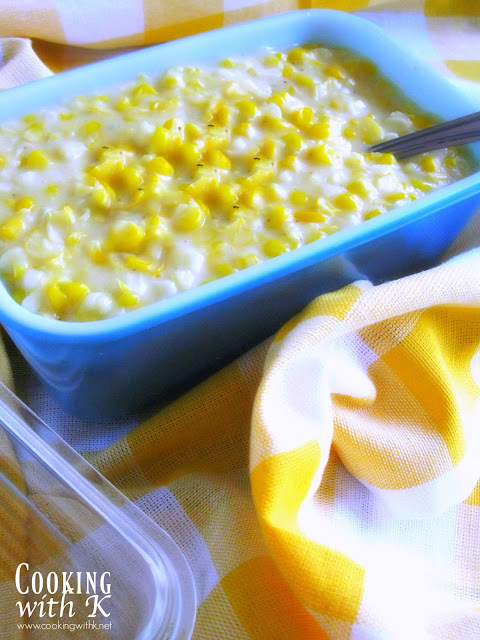 Cook corn on low, simmering for 15-20 minutes or until corn becomes soft and tender. In a small bowl while corn is cooking, whisk together cornstarch, sugar, water, salt and pepper to form a slurry; pour over the corn and stir until mixed well. Simmer for 15-20 minutes, stirring occasionally. Cook's Note: I grew up with a large family, so my Mother's recipes are on a large scale. If the recipe is too big, you can cut the recipe in half. I remember Mother occasionally would use milk instead of water and added as much as for desired thickness. Adjust the salt and pepper to taste. Use less or more sugar as desire. 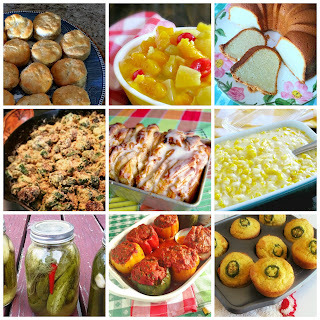 Join me for Meal Plan Monday, I'm Lovin' It, Weekend Potluck, What's Cooking Wednesday and all these fabulous parties! In a large deep bowl, using a sharp knife cut the kernels off the cob; go back with a spoon, and scrape all that wonderful corn milk off the cob. In a large iron skillet or heavy bottom skillet, melt butter and then add the corn. In a small bowl while corn is cooking, whisk together cornstarch, sugar, water, salt, and pepper to form a slurry; pour over the corn and stir until mixed well. Simmer for 15-20 minutes, stirring occasionally. Cook's Note: I grew up with a large family, so my Mother's recipes are on a large scale. If the recipe is too big, you can cut it in half. I remember Mother occasionally used milk instead of water and added as much as for desired thickness. Adjust the salt and pepper to taste. Use less or more sugar as desire. © Copyright 2009-2017 - Kay Little, Owner/Author of Cooking with K - All rights reserved ALL CONTENT PROTECTED UNDER THE DIGITAL MILLENNIUM COPYRIGHT ACT. CONTENT THEFT, EITHER PRINT OR ELECTRONIC, IS A FEDERAL OFFENSE. PLEASE do not copy recipes and photos and post on your site or on any social media platform without permission (see above legal notice). Blogging about recipes, using your own photos and linking to the complete recipe on CookingwithK.net is welcome and appreciated! That looks delicious. Why have I been eating the canned stuff when I could have had creamed corn made from scratch like this? wow This must taste really great! This looks really lovely - serious comfort corn! I have a whole load in my fridge at the moment - so guess what I'm making! Yummy! I haven't had cream corn since I was a little girl! We cut the corn off the ear around here and cook it cream style and freeze it. It is delicious. We do not put any indgredients in it. It seems to freeze better and last longer. Blessings! This looks delicious! I love corn, any way it is done! 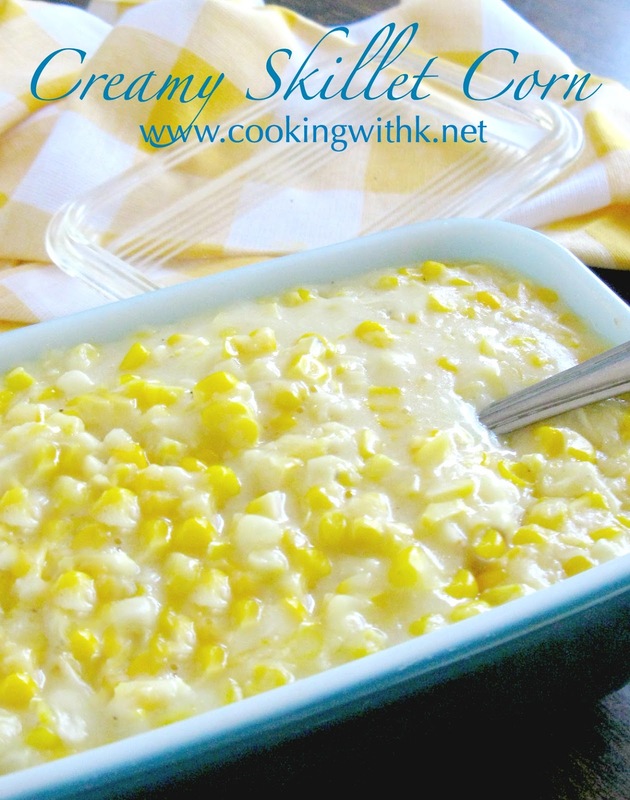 Your creamy skillet corn looks absolutely yummy! 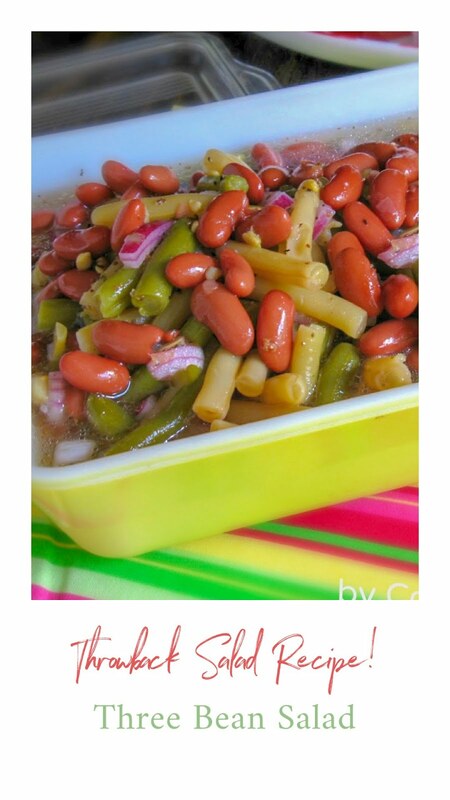 Thanks for sharing this lovely recipe, have a nice day! We must be semi-neighbors. I live east of Willis in the Sam Houston National Forest. The woods are lovely! What a great project to work on. Something to put on my to do MUCH later list. Ha! We're looking for old family recipes for a challenge we're running in honor of the movie The Help! We'd love to have you enter this one, or any of Granny's recipes. We've got a Los Angeles foodie judging later this month and you could win with this one. I can so relate to this story. I grew up in south Jersey and corn on the bob, slathered with butter and sometimes tobasco was an all time favorite. I'm a new follower from We Did it Wednesday. I've never had corn like this until very recently...it's delicious! Fresh corn on the cob is always a good idea, too! Lovely, summery post! I am so hungry for this. Mr. Sweet's mother used to make it almost just like this. She added more sugar, I think, as her's was almost like a Corn Pudding. So good. I am going to Walmart today and will pick up a few ears to make your recipe. ...just might try this soon! O M G...cream corn my mouth is watering,great goodness,this looks good. I'm visiting from Foodie Friday. 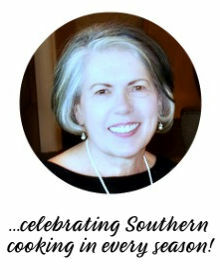 Hope you can visit LazyonLoblolly for cookbook giveaway. This looks delicious! We made something like this also with fresh corn from the garden. It was so good. Thanks for linking it up at Home Sweet Home! Yummy, this looks delicious! 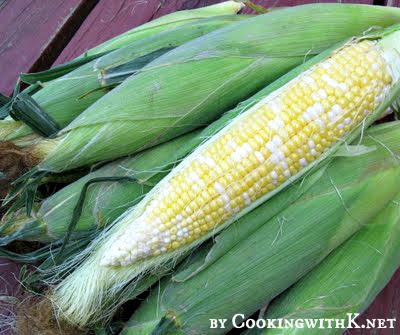 I also have a great corn recipe on my blog. wow...i never tried making them on my own before..your recipe is encouraging me to make some myself! K, That sounds awesome! Have a great wknd! New follower from hop. Please follow me back! This looks delicious! I have you featured on my page today (again) for the "Flash-back-Friday!" 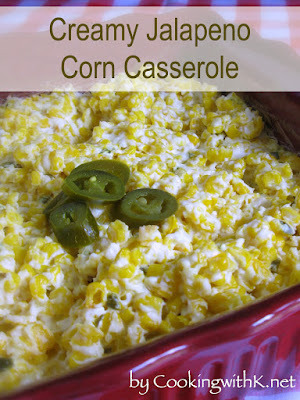 LOVE corn....and this recipe looks yummy... I'm going to try it. Oh - how good this looks! Corn is really in season here in North Carolina and I'm heading to the farmer's market tomorrow! It is one of the few veggies everyone in my family will eat! Got to try this. I used to have this one as child. So much better than the canned stuff. Thank you so much for sharing on Momtrends. I love checking out all the Friday Food submissions. Love this old-school dish. It's a classic for BBQs and potlucks in the summer when corn is plentiful. Have a great weekend and thanks for sharing. This is the best way in the world to make a great fresh corn dish. I can almost taste it now. Thank you so much for sharing with Full Plate Thursday and hope to see you next week. Have a great week end! I would go absolutely hot-wild if I found corn for 15 cents an ear...that's amazing. Your skillet corn sounds absolutely wonderful! Both ways are so delicious, that is so hard to choose. Also love it grilled on the barbecue. So glad you linked your mom's recipe to Vintage Recipe Thursday. 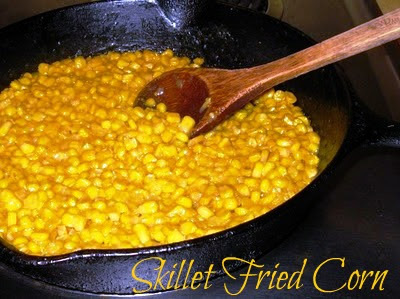 We have been boiling and roasting alot of corn around here but I can't wait to try this!!! Delish! I'm an "on the cob" kind of guy myself...although your recipe pulls me strongly in the other direction! From one Texan to another, I love the corn recipe. Luckily, we got most of our corn in before it burned up. No matter how much water we put on it, it just couldn't handle the heat!! Yum!! What a nice recipe and I love hearing the story, too! YUM!! !That corn looks wonderful and it is everywhere. I will be making your mother's version soon! Thanks for sharing and linking to Tempt My Tummy Tuesday. Oh. My. Goodness! I am bookmarking this right now. It looks AMAZING!!! And your pictures are wonderful!! I love fresh corn and I am going to have to add this recipe to my box. Thank you so much for linking up to Strut Your Stuff Saturday- we would LOVE to have you come back tomorrow and link up more of your great posts! No one can cook like a granny! I used to love to eat homegrown corn and such from Granny! How yummy! What summer fun! Just browsing your good recipes and came across this one that made me smile with memories. My mother in law always raised a LOT of corn. We always had the best, fresh corn and, like your mom, we froze a lot of it. Welcome to CWK...so glad you stopped by to share!